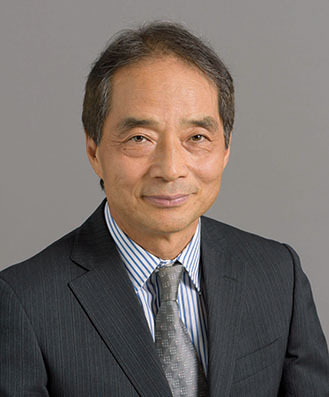 President’s Message | The Database Society of Japan. DBSJ (Database Society of Japan) was established as an academic society of database fields in Japan in 2002, and it has extended the scope of the field to “multimedia system,” “information management” and “social computing.” The essential activities of DBSJ are “the progress of science and technology,” “light-footwork activities,” “industry-university collaboration,” “improvement of international collaboration.” DBSJ also promotes the initiative in the development of new academic areas with scientific and technical messages to the academic, cultural, industrial, and international societies. Currently, the database and system technology becomes one of the most essential technologies in the world, and various information and knowledge resources are stored in databases as significant resources to be shared and utilized in our society and nature. It is expected that new applications could be created with those resources in new database systems. With the expansion of new databases and media content in the modern society, our information sharing and acquisition environment has dramatically changed, and the technology for sharing, searching, and integrating them is important for supporting and developing our society. In addition, the database technology, along with the diversity and scale of the media data, leads to the new methodology, such as new algorithms and intelligent systems. In addition, big data analysis, machine-learning a deep-learning are becoming promising research areas, and new various algorithms, systems and models related to those areas are studied and developed in artificial intelligence, modeling theory and social computing. Those areas could be studied as new applications of the database technology in our natural and social environments. Challenging to make solutions for global issues by new collaborations with societies in other scientific fields. DBSJ has continued collaborative activities and events with the Database System Group (DBS) in the Information Processing Society of Japan (IPSJ), the Data Engineering Group (DE) in the Institute of Electronics, Information and Communication Engineers (IEICE), and ACM SIGMOD Japan for making synergetic effects and sharing new advanced technologies presented in the events of conferences and symposiums. DBSJ also promotes the opportunity for knowledge sharing between industry and university with the activities in several joint sessions and workshops. Those collaborations have been leading to big effects and advantages to the members of this society. DBSJ is an academic society for making scientific and technological progress and innovation, and always tries to discover new research areas of databases to explore new directions to the future in our nature and society.